Before Europeans arrived, the Pocasset people fished and farmed along the eastern shore of the Sakonnet River in what is now Tiverton. Forests, swamps, and streams provided fresh water, game, wood products, berries, and winter shelter. In 1651, Richard Morris of nearby Portsmouth purchased the Nannaquaket peninsula from its native inhabitants. There is no evidence of Morris settling here, so he may have used the peninsula to grow crops and graze animals. In 1659, Morris’ claim was recognized as legitimate by Plymouth Colony, which at that time included the Tiverton area as part of its holdings. Strapped for cash by King Phillip’s War (1675 – 1676), Plymouth sold a tract of this land in 1679 for £1100 to the Proprietors of Pocasset. The “First Division” of the Pocasset Purchase created thirty large lots, with the northernmost edge close to the present-day Fall River-Tiverton border and the southern boundary at the Tiverton-Little Compton line. Edward Gray (1667 – 1726) held nine shares along the southern boundary of this purchase. The 237-acre tract now known as Pardon Gray Preserve passed to Edward’s grandson, Pardon Gray (1737 – 1814), who farmed the property. During the Revolutionary War, Pardon Gray became a Colonel in the Rhode Island militia, and he was placed in charge of the local commissary, which he ran from his home. Colonel Gray supplied 11,000 militia and Continental troops stationed at Fort Barton prior to the Battle of Rhode Island in 1778. Marquis de Lafayette briefly used a house nearby as his headquarters. Pardon Gray died at the age of 78 in 1814, and he is buried alongside his wife, Mary, in the family cemetery. The West family owned most of the property throughout the 19th century, along with land slightly north on the other side of Main Road, where Samuel West (1774 – 1838) built a house around 1800. Samuel’s father, the first of three Samuels, graduated from Harvard in 1754 and entered the ministry in 1761 in New Bedford. He became active in politics and was a member of the Massachusetts convention that ratified the United States Constitution. He retired from the ministry in 1803 and lived at his son’s Tiverton property until his death in 1807. The second Samuel West was a physician, as was his son, the third Samuel West (1806 – 1879), an 1831 Harvard Medical School graduate. 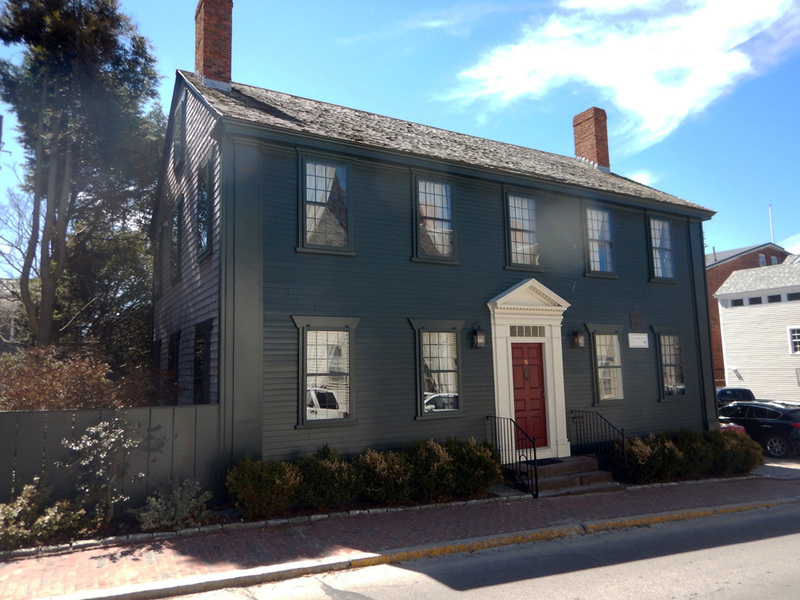 He began his practice in New Bedford, but moved to Tiverton after his father’s death to take over his practice. Samuel built the existing farmhouse not long before his death in 1879. 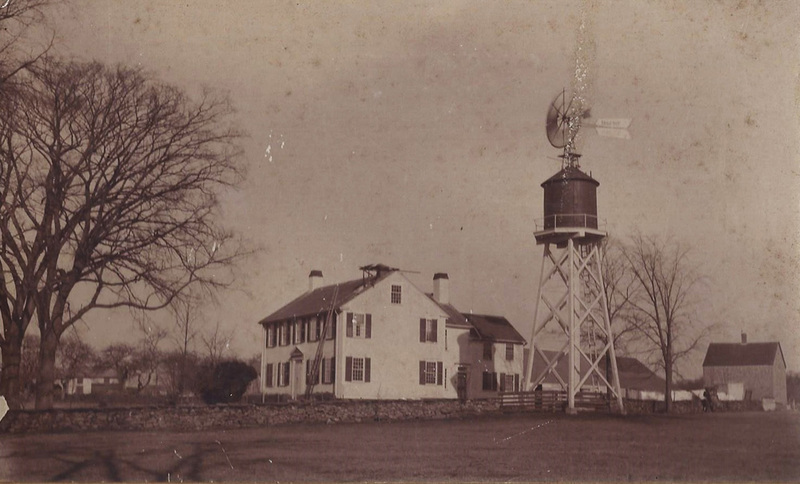 After Samuel’s death, his brother John sold most of the family land to Samuel Hathaway, who came here from Illinois to run the farm in the late 19th century. The Matta family, which owned the property in the 1990s, agreed to sell the land to a developer who planned to build 110 homes, each on a two-acre lot. The project was delayed by lack of access to water and adequate sewerage and by the expense of road construction. Meanwhile, Tiverton’s 1997 Comprehensive Land Use Plan included guidelines for the preservation and conservation of the natural and cultural characteristics of the town. Four citizens—Joe Bossom, Stephen Barker, Mary Wehle, and Martin VanHof—began to meet informally to produce plans, goals, and objectives for the conservation of Tiverton’s natural environment. They were soon joined by a fifth member, Allen Smith. The group needed to act quickly to preserve the Pardon Gray property from development. They created the Tiverton Land Trust, a private organization committed to protecting Tiverton’s rural character by conserving open space, agricultural lands, and wildlife habitats. With the help of Louise Durfee, the group wrote grant applications, secured tax exempt status, and tapped local and state resources to raise $1.2 million to purchase the entire 237-acre property on March 31, 2000. Each September, the Tiverton Land Trust celebrates the preservation of Pardon Gray Preserve by sponsoring A Country Day at Pardon Gray, an old-fashioned country fair complete with tractor pulls, crafters, pony and hay rides, live entertainment, kid games, a petting zoo, great grilled food, and lots more. Fees are kept low so that the event is affordable for all families. Thanks to the Tiverton Land Trust and its supporters, Pardon Gray Preserve will remain in its natural state in perpetuity. 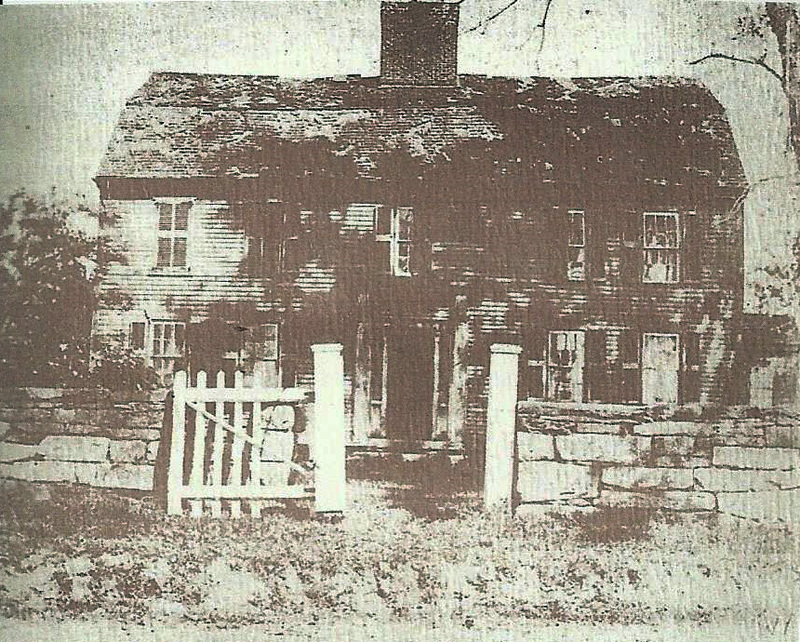 The Pardon Gray House : This is the only known image of the Pardon Gray House, which stood near the Gray family cemetery. The foundation was removed in the late 20th century when the surrounding property was cleared for farming. Brick ovens, which had been used by Colonel Gray for baking bread for the troops at Fort Barton, were also removed. ~ Source: A Patchwork History of Tiverton, Rhode Island, Tiverton Historical Society, 1976. 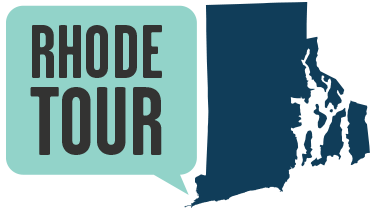 Tiverton Land Trust, “History of Pardon Gray Preserve,” Rhode Tour, accessed April 21, 2019, http://rhodetour.org/items/show/128.